There are actually two types of rainforest; those found in tropical regions and those found in temperate regions, but both types need an annual rainfall of between 69 and 78 inches (1750 - 2000mm). Temperate rainforests are found in areas such as the Pacific North West of North America; parts of Europe including parts of the British Isles and Norway; East Asia, including Southern China, Japan and Korea; and the South West of South America. This article will only consider tropical rainforests, one of, if not the, most fragile types of ecosystem on the planet and one with enormous biological diversity. Tropical rainforests are found in the world's monsoon trough, which is also known as the intertropical convergence zone. This is roughly located between the Tropic of Cancer and the Tropic of Capricorn, 22° degrees north and south of the equator. These rainforests once covered 14% of the earth's surface, but massive exploitation has more than halved that amount. It has been estimated that if the present rate of consumption were to continue, within 40 years the last remaining tropical rainforests could have gone. Tropical rainforests have been called the ''jewels of the Earth'' and the ''world's largest pharmacy''. 25% of Western pharmaceuticals are derived from ingredients found in tropical rainforests and it is reported that 121 prescription drugs sold worldwide come from plant-derived sources. The US National Cancer Institute has identified 3000 plants that are active against cancer cells and 70% of these are found in the rainforest. One of the world's most powerful anticancer drugs, Vincristine, is extracted from the rainforest plant, periwinkle. This drug has been particularly successful in the treatment of childhood leukaemia. The Amazonian Rainforest is the world's most important rainforest, making up 54% of the total amount left on Earth. The whole Amazonian region covers two fifths of the South American Continent. It is estimated that five centuries ago around ten million Indians were living there, but today the number stands at just 200,000. In the last 100 years more than 90 indigenous tribes have been wiped out by European colonisation. Rainforests continuously recycle carbon dioxide into oxygen and the Amazon Rainforest has been credited with the production of more than 20% of world's oxygen. It is also a vast reservoir of fresh water, with about a fifth of the world's fresh water supply being found in the Amazon Basin. Tropical rainforests are home to more than half of the world's ten million species of plants, animals and insects. Deforestation, loss of habitat and pollution of the atmosphere have already led to the disappearance of many species and more are seriously endangered. At least 80% of the food eaten in the developed world owes its origin to the tropical rainforest. The complete list is extensive and includes: avocados; figs; oranges; lemons; grapefruit; bananas; pineapples; tomatoes; potatoes; many spices such as pepper, cinnamon and cloves; sugar cane; coffee and a range of nuts, not the least being Brazil nuts. Although 200 fruits of rainforest origin are consumed in the western world, this is only a fraction of the 3000 or so fruits that are found there. Since the 1980s the global economy has tripled in size and world population has increased by 30%. 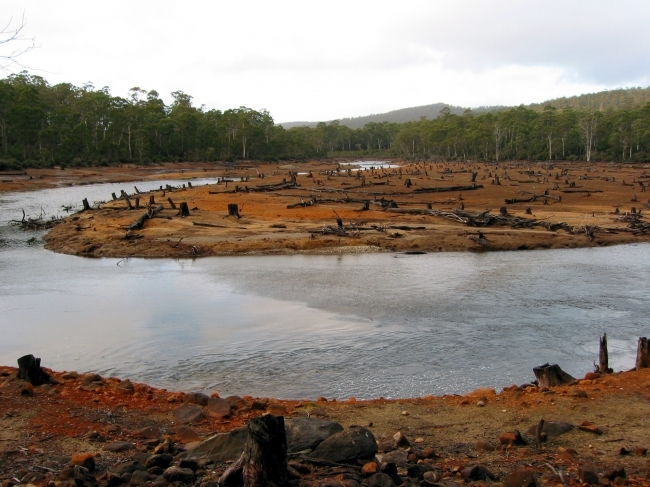 This has put an enormous strain on the world's ecosystems. In 2001 The World Resources Institute estimated that demand for rice, wheat and maize (corn) would grow by 40% by 2020 and that the demand for wood would double by 2050. Unfortunately it is the topical rainforests that meet the bulk of the world's wood supply. A third of the world's remaining rainforests are in Brazil, but Brazil currently burns or fells more than 2.7 million acres each year. As a direct result of this destructive policy, more than 20% of the Amazon rainforest has gone for ever, along with the plants and animals the formerly thrived in that special ecosystem. Rainforests have taken millions of years to evolve into the complex environments that they are today, but it has been estimated that one and a half acres of rainforest is being lost every second. The simple fact is that the rainforest is being destroyed for the short-term income and profit that is yielded. This destruction need not happen and conservation of rainforests is urgently needed. Tropical rainforest are biodiversity hotspots, full of natural resources; if only governments and commercial interests can be persuaded to harvest these in a sustainable way, it can be proved that the rainforest will have more economic value today, with enormous potential for more long-term income and profit in the future.